I’m staying with summer this week. I recently discovered there is a specific day for Hot Dogs. Who knew that July 18th is officially Hot Dog Day? Me being me, I just had to make it a feature for Freebie Friday. I might be dating myself a bit but I’ve been having flashbacks to this commercial jingle. I’ve been singing it all day. “Hot dogs, Armour hot dogs. What kinds of kids eat Armour hot dogs? Fat kids, skinny kids, kids who climb on rocks. If you know this jingle, I bet you will be singing it now. 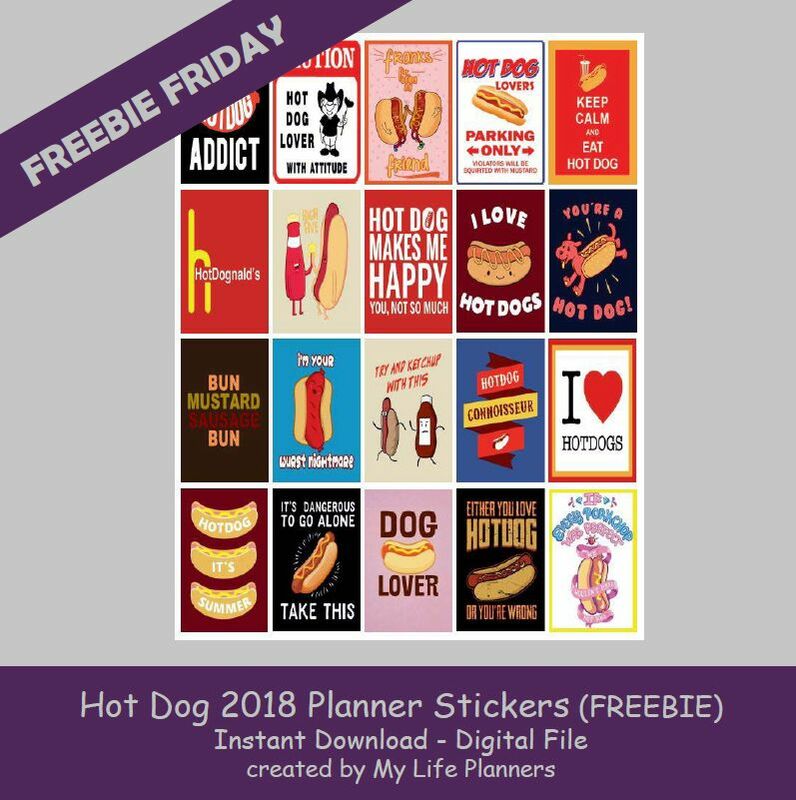 (insert evil laugh) So get your ketchup, mustard, relish and whatever else you put on your dogs and get your planner ready for Hot Dog Day. Enjoy.